Needing an update for the four-place 365 GT/4 2+2, Ferrari introduced the new 400 series in 1976 at the Paris Auto Show. 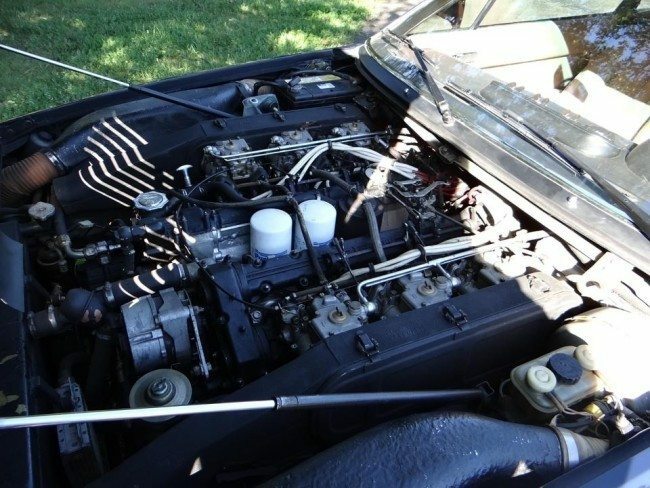 The spacious GT car was an evolutionary advancement from its predecessor, featuring a new 4.8-liter Columbo V-12 engine that punched up the horsepower. The 400A retained the 365 GT/4’s angular notchback coupe body, now featuring four taillights instead of six. Perhaps most interesting was that GM’s Turbo-Hydramatic transmission became a very popular option, which outraged some purists and members of the press alike, but in fact, it outsold the manual version by 355 to 147 in 1979. The new 400A was luxurious, modern, and a capable performer in the GT class. Just over 500 examples were built in 1979, and all were sold in the European markets. Designed by Pininfarina and crafted at the Scaglietti coach building works in Modena, it succeeds in wrapping Italian luxury around 4 passengers while still providing Ferrari-style performance. The legendary Columbo V-12 with six Weber carbs will power this car to over 150 MPH and a 7.1 second quarter mile, and it’s no wonder – the very same combination powered the highly successful Daytona. This fine example has obviously been carefully maintained, and although we cannot verify it, the overall condition and records from the previous owner both indicate that the odometer reading of just under 29,000 miles is quite likely correct. One thing we are sure of – mechanically, the car fires right up, pulls strongly at all speeds, and shows the typical fine road manners Ferrari is known for. There is really nothing else like the sound and feeling of a 12 cylinder Ferrari pulling up to speed – an experience that can be shared with the whole family in this fine 2+2. The body and paint on this example appears to be original, with a nice deep shine and just a few very minor flaws behind the rear window. The body panels, under carriage, inner fenders, sills, and trunk are all rust free, and indicate a car that was driven sparingly. The chrome, glass, and trim are also very good, with clean factory alloy wheels and good rubber on all four corners. 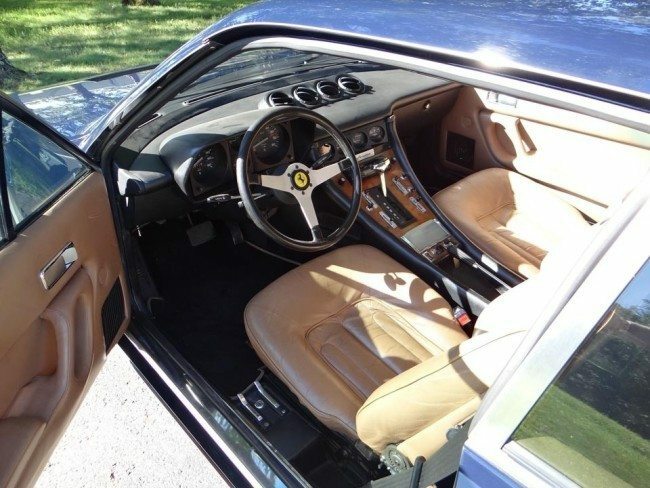 The interior, carpets, and leather upholstery are in fine condition, the slight wear supporting the previous owner’s claim that it is also all-original inside. The factory air-conditioning blows cold, and out back, the original factory manuals and tool kit are included for the next owner. 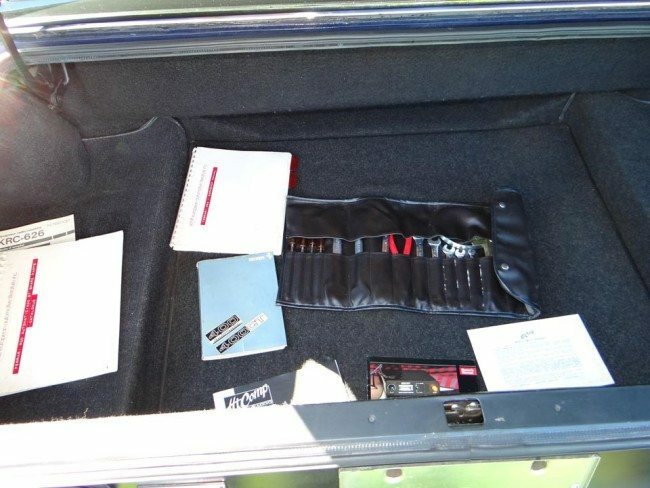 Under the hood, that beautiful Columbo V-12 fills the engine bay with Italian machismo that is only available from a vintage Ferrari. With Italian grace and a superior design, the Ferrari 400i provides a luxury 2+2 driving experience that is more aristocratic and measurably different than any other GT of the era, yet is satisfying and easy to drive on a daily basis. 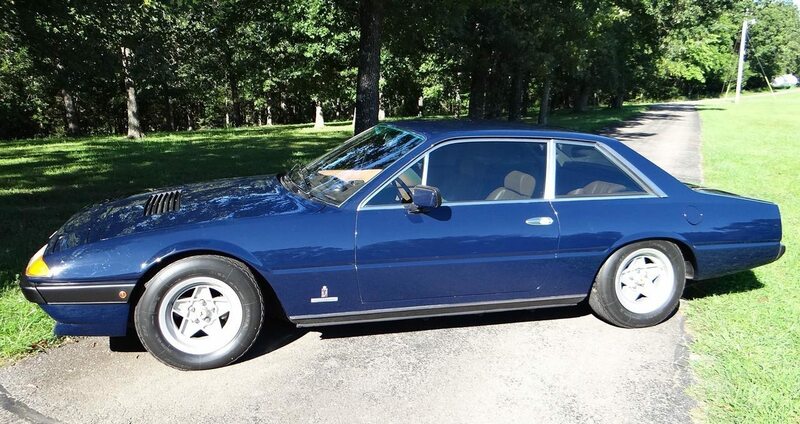 It is a road-ready, low mileage, and highly original V-12 Ferrari that the whole family can enjoy. Well sorted and strikingly beautiful, it’s a car that is certain to deliver an unforgettable mechanical symphony to the lucky owner every time he or she turns the key.